- from De Architectura (click! for more), the only contemporary source on classical architecture survived entirely. The Vitruvian man, figure that is familiar even for a ten year old kid (I hope). And as some assume, it wasn't Leonardo Da Vinci's invention. 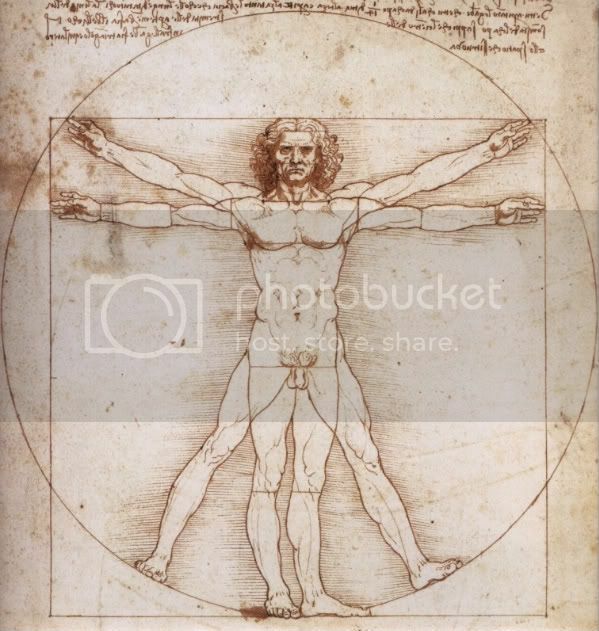 It became famous during the Renaissance thanks to Leonardo Da Vinci who studyed carefully Vitruvio's De Architectura, and got fond with the symmetrical human figure, rappresenting the Proportions of Man. In other words we're talking about the mix of structrual, functional and aesthetical qualities - without steadiness the structure won't resist; without utility the structure is just a sculture; and in the absence of beauty we can only talk about "a structure", not about architecture, seen as art. (this is what Pevsner, Le corbusier and Ruskin have always talked about.) And it's not hard to understand the theorical part, but it's the practical side which needs exercising. Oh yees... So I'm gonna go and try to figure out from where to start. looking forward to see how you manage to do this!!! holding my thumbs!